Written by an expert, this book will help you if you are studying for an important exam or essay, of if you simply want to improve your knowledge. 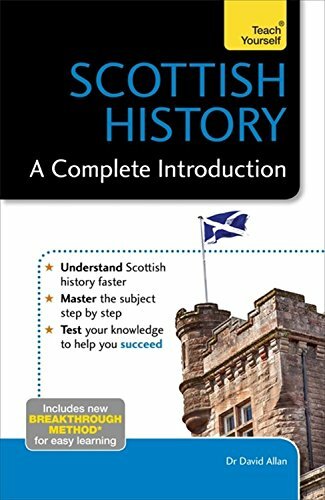 It is structured to mirror the way in which Scottish history is usually taught, starting with the prehistory of the land and the coming of the Scots to the rise of the Scottish Independence Party and the question of Scottish independence. It traces the events, both peaceful and bloody, that have brought the country to where it is today, providing an informative and accessible introduction to the country's history. Whether it is the Jacobite Rebellion, the advances of the Scottish Enlightenment or its role in WWI and WWII, this is the perfect place to start.